Merrick makes five promises to its customers. They start off with a promise that all of the ingredients they put into their food is locally grown and raised to insure that what is going into your pet’s food is healthy. Next they promise that their foods will taste better to your pets and also be healthier for your pets. They do not use any artificial additives and all of their foods are made fresh. The third promise is that their food is made in the same kitchen, this allows them to quality control every bag of food they put out. There is no lapses in the control of the food. Your animals rely on protein in order to power their active lifestyles and Merrick knows that, that is why all of their food is chuck full of animal fuel not filler ingredients. Right now you can get Merrick Dog and Cat Food for 10% off at Petco. 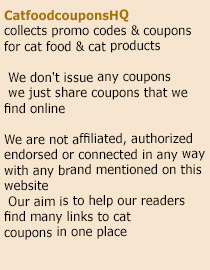 All you need to do to receive the coupon is visit their website and add whatever selection of food you want to your cart. You can also visit a participating store. If you want to get a further discount refer a friend to Petco and you will receive $10. This entry was posted in Merrick. Bookmark the permalink.